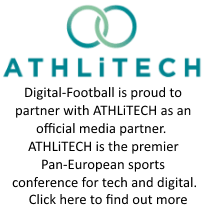 This month Digital-Football.com is very fortunate to have a chat about football social media with the UEFA Champions League winners and arguably, one of the greatest sporting institutions to grace the planet, FC Barcelona. The social media team at the Catalan club have been incredibly busy in recent months and sit at the forefront of sports social media and fan engagement. Barca currently have the most liked Facebook page in global sports, and rank in the top 50 of all Facebook pages. But it isn’t just their Facebook page that has won them our plaudits – they were the first to fulfill our prediction that clubs willoptimise their stadium for social media, and they run massively engaging Twitter and YouTube accounts to support their Facebook activity. For the longest time, Policy and Guidelines have been an issue we’ve been trying to push on this site and we’ve been desperate to learn how clubs are educating their employees about the potential pitfalls of social. For Barcelona, their Social Media Policy places an emphasis on responsibility, however, what is clear is that this doesn’t naturally mean restrictions. In a refreshing move, Barcelona revealed to us that they have an education strategy in place that ensures that ‘everybody understands the magnitude of every tweet or post we do’. This approach teaches staff to think about what they post, as well as actually understand the consequences of bad practice as supposed to merely being told ‘it’s bad’. Education is the way forward, not blanket bans. What is clear for Barcelona is that Social Media is a service, and it should be servicing the fans above all else. Whilst many brands and football clubs visualise Social Media as a marketing channel, to Barca, it is so much more – it’s a connection to build relationships on an international scale. Barca are proud of what they describe as ‘a singularity’, and it is interesting to see how they manage their social media for different markets – Twitter in particular. The club has been considerate to its massive international fan base by deploying an English channel, whilst at the same time, the club has stayed true to its roots and tweets in Catalan. Whilst this is an arduous task for the brand, it goes to show that they have a strategy that is looking at the bigger picture. As already mentioned, Barcelona are credited to being the first team in Europe to look to optimise their stadium for matchday social media. For the club this isn’t just about raising awareness of social channels, but rather it’s ensuring that fans have the best chances of utilising social within the stadium – this means mobile technology. With smartphone adoption rapidly increasing, it makes sense that clubs begin to look at the role of mobile in the game, whether that is mobile marketing, geolocation, mobile sharing and even mobile tickets. We are both in agreement that if you want to have a social presence that maximizes huge attendances, then you have to ensure that your environment is conducive for data sharing. There’s little point spending thousands on a Social Media campaign if you can’t even effective market to your own fans in your own house! Authors note: I would like to thank the Social team at Barca for being willing to answer my questions and be happy to be as open and upfront as possible. It can be a real struggle to get quotes, let alone answers to every question you like, and I appreciate their kind support for the blog and hopefully I can get a chance to write more about the excellent displays of innovation currently going on at the Camp Nou.